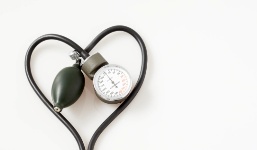 What’s the best exercise to keep your blood pressure down? The answer, according to Belgium researchers, is to engage in a little isometric resistance training. Not familiar with the term? Neither was I, until I did a little research. Isometric resistance training involves muscular actions in which the length of your muscles doesn’t actually change. In other words, you won’t see your muscles moving or stretching. All the force you apply against your muscles is done in a static way. Your muscles are tense but they don’t actually contract like they would when you lift a heavy barbell. Doing the plank—where you lie on the ground and then raise your body up parallel with the floor, balancing on your arms and feet—is one common isometric exercise. You don’t lift or pull on a weight, you don’t move your muscles around actively, but you definitely get a workout. Just try holding the plank position for a few minutes! Isometric resistance exercises have a few benefits going for them, along with lowering your blood pressure naturally. You won’t need to buy any high-tech equipment (which can be very pricey) or buy an expensive membership to the gym. Isometric resistance exercises also tend to be fairly safe to perform compared to other types of resistance training. They don’t have a history of causing injuries to those who do them. When the Belgian researchers compared isometric resistance training with other types of resistance training, they found that this form triggered the greatest drop in systolic blood pressure. Even NASA studied isometric resistant exercises for their ability to keep astronauts’ muscles toned while in the weightlessness of space. It turned out that isometrics weren’t the best option for staving off muscle atrophy caused by living in a zero gravity environment. The exercises did promote muscle growth but they couldn’t stop muscles from degrading on a molecular level. However, for the rest of us living under the influence of earth’s gravity, isometric resistance training is just fine. It should trigger a drop in your blood pressure and boost the strength of your heart. Cornelissen, V.A., et al, “Exercise Training for Blood Pressure: A Systematic Review and Meta-analysis,” J Am Heart Assoc. February 1, 2013; 2(1): e004473. Barry, P.L., et al., “Why Do Workouts Work?” NASA web site; http://science.nasa.gov/science-news/science-at-nasa/2004/10dec_muscles/.